The Reverend Robert Nelson, Vicar of St Thomas Liscard in the Diocese of Chester has been awarded a Member of the Order of the British Empire, For services to Homeless People and the community in Wirral. The Classical Countertenor Iestyn Davies has been awarded a Member of the Order of the British Empire for services to Music. The Right Reverend James Jones has been awarded a Knight Commander of the Order of the British Empire for services to Bereaved Families and Justice. "Three very different characters but each hugely distinctive in their own particular way. It is a privilege to know each of them and to be counted among their friends. Well done all three! Congratulations. Your honour is well deserved. And we thank God for all you contribute to our public life." With thank to Elizabeth Addy who has made this video possible. 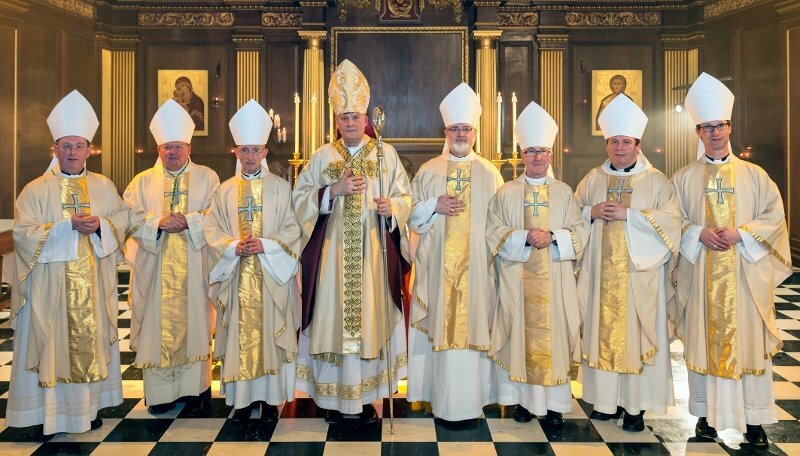 Bishop Glyn together with the Council of Bishops of The Society has issued a Pastoral Letter, which he invites the clergy to read, and make available, in all of his churches on Sunday 4 December 2016.